JAMMU, Aug 6: The deposition of 50 percent Games Fund by the schools with the Department of Youth Services and Sports is a custom, a practice or a system to run sporting activities in the State and make talented sportspersons to represent the State in National School Games, under the aegis of School Games Federation of India (SGFI). 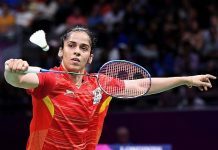 However, the non-deposition of the Games Fund, sometimes, serves as a stumbling-block rather a death-knell for the talented sportspersons as they are not considered for the final selection to represent the State in National School Games. 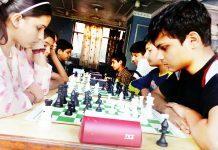 According to the reliable sources, some of the private institutions, especially the schools run by the Central Government, do not deposit 50 percent Games Fund with the Department of Youth Services and Sports and the talented sportspersons of these institutions fail to make it to the State teams not because of their less skill but because of their non-consideration for the fact that they do not deposit Games Fund with the DYSS, adding that Kendriya Vidyalayas, Army Schools and Navodaya Vidyalayas lead from the front in the race of non-deposition of 50 percent Games Fund. Sources added that the KVs and allied Central organisations have their own Sangathans to hold Championships at the Zonal and the National Levels, so these institutions least bother for the participation of their students in the National School Games, thus are hardly interested in depositing the Games Fund with the DYSS, leaving the talented sportspersons in the lurch, rather debarring them from being part of the prestigious National Level Games conducted under the aegis of School Games Federation of India. There is no-doubt in it that the sportspersons from the schools being run by the Central Governments, have the provision of displaying their skill in their own tournaments, yet the prestige of representing the State in National School Games is altogether different. 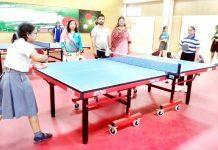 “As per the rules and the necessities, the DYSS is bound to pool the 50 percent Games Fund from each school, the students of which participate in National School Games. 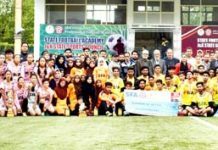 However, it has been observed that some schools, especially KVs are reluctant in depositing the Games Fund with the DYSS to add to the problems of the talented players from these institutions. Though, KVs have their own Sangathan to hold sporting activities, yet for the benefit of their students, these institutions ought to deposit the requisite Games Fund with the concerned Department,” said an official from DYSS on the condition of anonymity. 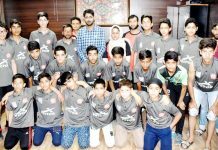 He further said that for good health of sports in Jammu and Kashmir, the State which is leaving no stone unturned to carve a space on the country’s sports map, providing ample opportunity to the talented players to showcase their skill is the need of the hour. “Our wards have been selected for National School Games for the current season. However, the organisers told us that they will not be part of the State teams unless their schools deposit 50 percent of their Games Fund with the Department of Youth Services and Sports. Their schools are not ready to deposit the same with the DYSS. Despite repeated requests to both the agencies, none of them is ready to redress our problem. 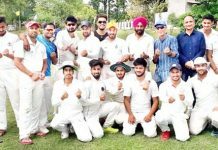 In such an atmosphere, we are in a fix as to what to do to make our wards be part of the State teams.” said a group of parents while expressing anguish over the issue. They further said that they will approach higher authorities for early redressal of the issue. 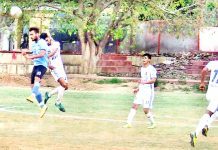 Sources further said that the budding players from KVs, NVs and Army schools after being considered for the inter-school, inter-zonal and inter-district competitions are asked to deposit the Games Fund prior to the Nationals only. 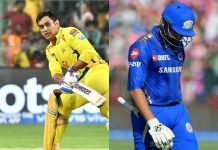 “These players should have been advised to deposit the same from the word go, to give them ample time for motivating their school heads in this regard,” sources added. The State Government needs to issue a circular with regard to participation of the talented players of those institutions, which either do not deposit Games Fund or are reluctant in depositing the same prior to the National School Games. 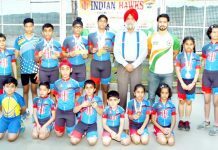 To preserve sanctity and spirit of sports and provide maximum opportunity to the talented players to showcase their skill at the National scene, the players of these defaulting schools too need to be made part of the State teams, to avoid making them scapegoats. At the same time, such schools need to be strictly advised to ensure pooling of 50 percent of their Games Fund with the DYSS.